Q: What are the differences between the International Version and the Indonesian Version? Top of The Class. Great Movie, Great job! High Rating and Awards? People may be tricked for the first time because this movie comes from a very unusual country, Indonesia. It's not often we see action movie comes from this country. Furthermore, the casts also aren't well-known at all in the world but guess what, they're really giving a great show in this movie. Gareth Evans, a Welsh born writer/director/editor repeat his success creating action movie after several years ago releasing another action movie also made in Indonesia. For me, the real superstar in this movie is Rama (Iko Uwais), who was introduced as a newbie special force in the team. Fantastic martial art movements, which is traditional martial art called Pencak Silat from Indonesia truly filled this movie with wowing watcher's experience. Fast moves, intense close combat and his knife play in combat successfully increased my adrenalin. The best part of Iko was when He's about to face several people alone in a hallway. That was obviously cool. I think Iko plays the part like Jason Statham (fighting) and Steven Seagal (with his knife) but only better. The Raid was rained with bloodbath. So it's wise to avoid bringing children to watch this movie. The other character that stole my attention was this man called Mad Dog (Yayan Ruhian). In my opinion, it'll be difficult to find this kind of man in this world. His expression and fighting style was stunning. When I watch movies, I always intensely wait for the twists. The Raid doesn't give so many twists but it still has enough twist that improve the story. Still this is a nicely written story. Simple idea but creatively developed. At first, I thought it'll be a one man show where Rama played the whole part of fighting till the end. But I was wrong. 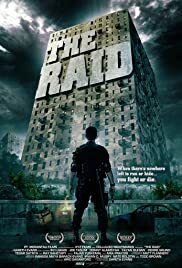 The Raid gives fair proportion to fighters in this movie. Rama isn't the only one that showed a great fight against the enemy in this movie. There're the sarge, Andi, the last cop in control room. The only thing that disturbed me a little bit is the original dialog which is Indonesian. I don't know but it's kinda awkward for me to hear the conversation in Indonesian although it's my native language. As I imagine, it may sounds better in English. 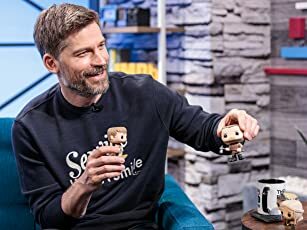 Never mind, it's just me. With only 1.1 million spent on this action movie, surprisingly give me such a great experience in cinema. Great movie. Great job! 118 of 150 people found this review helpful. Was this review helpful to you?